The frame of the wheelchair is the component that holds all the other components together and determines the type of wheelchair that will result from assembly. Standard weight wheelchairs will usually have steel frames, light weight wheelchairs will usually have aluminum frames and ultralight frames can be made of either aluminum or titanium frames. The frame of the wheelchair has an effect on the propulsion of the wheelchair in a couple of different ways. The lighter the weight, the easier it is to propel so a titanium frame is easier to propel than a steel frame. The more rigid the frame the less it will flex when being propelled so a welded rigid frame without moving parts will be easier to propel than a folding frame that will flex when propelled. The pictured frame is a conventional lightweight folding frame and consists of a cross frame and two side frames. Folding frames are by far the most common types of frame available today because of their ability to fold for transportation and storage. Standard, light weight and light weight adjustable wheelchairs are constructed with folding frames. The seat upholstery on a folding frame is attached to the frame making the wheelchair frame also the seat frame. For more information on lightweight wheelchairs please check out our home page or categories. The rigid wheelchair frame will look similar to the folding frame but will have straight bars attaching the two side frames together instead of the cross frame and the frame will be all welded together to strengthen joints. The seat upholstery will still attach to the frame and the back posts will be the same. Rigid frames are stronger and lighter than the other wheelchair frames and are used for sports and very active teens and adults. 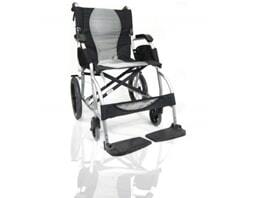 For more information on rigid wheelchairs please check out our home page or categories. Reclining wheelchair frames are usually folding frames similar to the regular folding frames except the back posts will be hinged to allow the backrest of the wheelchair to recline back. The reclining frame can be either steel or aluminum but will still be substantially heavier than a conventional folding frame. For more information on reclining wheelchairs please check out our home page or categories. The tilting wheelchair frame is similar to the rigid frame but usually larger and the side frames can either be welded to connecting bars or bolted. Kid's tilt chairs are usually bolted to allow for easy growth but adult tilt wheelchairs usually have welded frames for added strength. Tilting frames are, for the most part, made of aluminum. Tilting frame wheelchairs do not have the seat frame incorporated into them and require a completely independent seat frame which is hinged to the rear of the wheelchair frame. For more information on tilt wheelchairs please check out our home page or categories. The bariatric frame can be folding but will usually be rigid for the heavier duty models and can be made of steel or aluminum depending on the weight capacity the wheelchair is designed for. Bariatric wheelchairs are basically the same as any other wheelchair except the joints are usually reinforced and in the case of folding frames there may be two cross frames instead of the conventional single cross frame. 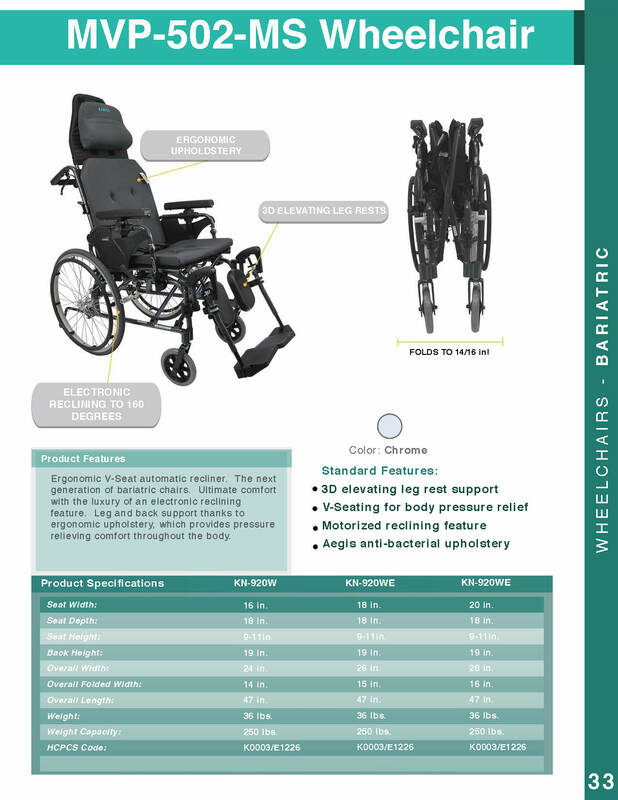 For more information on bariatric wheelchairs please check out our home page or categories. Pediatric wheelchair frames are identical to the adult versions except smaller and designed to be grown as the child grows. The pediatric frame will almost always be aluminum. For more information on pediatric wheelchairs, please check out our home page or categories.